It’s remarkable that your Lorna’s Laces socks always stripe so nicely! I wonder how you do it?!? See those big green blobs? Yep, pooling. Fortunately, it only occurred during a short period in which I had, let’s see…between 84 and 68 stitches, at a gauge of 8 stitches per inch. So there ya go. Other than that, I’ve just been lucky! As you can see, I’ve gotten farther along on the second sock – I’m just past the heel. After all that leg, 7.5 inches of stockinette on 60 stitches should go pretty darn quick, methinks. And for those that were wondering what pattern I’m using – it’s my own, customized to fit my, er, generous calves. I could have made them smaller at the top, too (I subtracted 20% from my measurements) but I’m going to find some elastic to put in them there cuffs. I’ll be interested in seeing what you come up with for how to do the elastic (now that they’re already knit). I just started a pair of knee highs too (also with…generous calves) and I think they’re going to need some elastic too. That’s such small beans! I know you’ve seen what misbehaved Lorna’s Laces can look like at its worst! 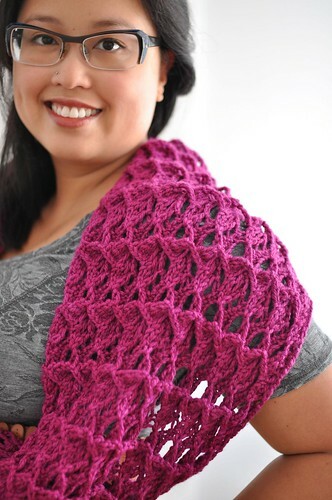 I stick with my position – it’s remarkable that when you knit LL, it doesn’t pool! (Even if it pools for an inch or two along the way) Just a bit more ’till the end! Even though you have the green pooling, it matches the pooling on the other sock! Brilliant pooling. I would never have that luck! I’m impressed with your fortitude for knitting knee-highs. Besides the fact that I would never wear them (but I’m a little bit older than you), I never want to knit socks to fit my calves. I don’t even like high cuffs on my socks now! Your socks look great and I love the colorway of LL. Is that Vera? Knee high socks — what fun! I love how yours are turning out and think the green pooling adds a bit of color interest. Lornas Laces sock yarn is one of my favorites — their solid colors are also beautiful with slight variations in them. Gorgeous knee highs… what a fabulous thing to knit for winter! The colorway is yummy. I love those socks. (even with the little, tiny bit of pooling. Would it really be a LL sock with a little?). I don’t think I’d have the endurance/patience to finish knee highs. But yours are sure tempting me to try. your knee socks are beautiful – I too enjoy generous calves..